Apowersoft ApowerMirror is a simple and powerful screen mirroring application designed to work on Windows PC and Android device. The program can connect Android devices to computer through USB cable or WiFi. 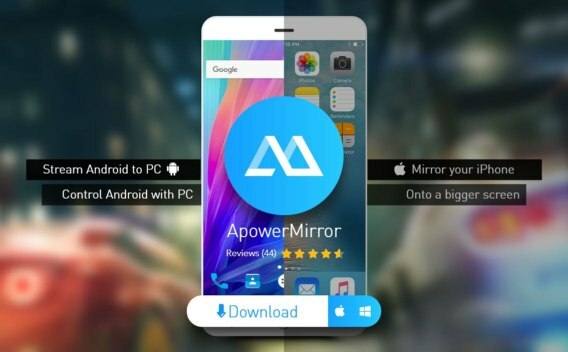 With ApowerMirror, user allow to stream movies, videos, photos, and other media files from Android device to computer wirelessly, so that user can freely enjoy on larger screen with high quality. In addition, the program also enable remotely control Android devices on the computer using mouse and keyboard. User can send SMS or messages, play Android games, and manage various apps from computer. Mirror Android/iOS screen to Windows and Mac in real time. Stream media files from mobile device to computer screen. Fully control Android/iOS device with mouse and keyboard. Control 3 devices from PC. Easily record phone screen or capture screenshots with high quality. Capture screenshots with one click. Whiteboard feature allows to draw lines on the screen for better presentation. View the mirrored screen in full screen or resize the displayed screen at will. Apowersoft ApowerMirror normally cost $29 95 for purchase. As part of Super Sale promotion, Apowersoft is giving away free genuine license key code of Apowersoft ApowerMirror at no cost. Visit the promo page HERE. Share the promotion to social media. Enter name, email address and click “Get it Now” button. The license key code and download links of Apowersoft ApowerMirror will send to email address. Follow the email instruction to activate the software. Apowersoft ApowerMirror compatible with Windows XP, Windows Vista, Windows 7, 8, and Windows 10.